This is where survival caches come in. Coming from the French word for “hide”, a cache is a setup that allows you to hide some supplies in a separate location. There’s a lot of strategy that goes into choosing where to put a survival cache and what to put in it. On the one hand, you want your survival cache to be difficult to find so it’s not discovered and stolen. On the other hand, your survival cache needs to be easily accessible, especially if you plan on accessing it during a bug out scenario. Since most people can’t afford to fully stock multiple locations with duplicate supplies (although you should if you can afford to), the question of what goes into a survival cache becomes relevant as well. To help you decide what to put in it, what container to use, and where to hide it, consider some of the following ideas. Before you decide what container to use, decide what items you’re going to put in it so you’ll know what size you need. So what survival items should you put in it? Basically, the same things you’d put any survival kit. • Guns & Ammo – In a situation that requires you to uncover your survival cache, chances are protection is going to be a priority. Also, since firearm confiscation is a concern, having a few guns and a supply of ammo tucked away that no one knows about is a good idea. As for which types of firearms you should store, AR-15 style rifles are ideal since they can be easily disassembled for storage and quickly reassembled if the need arises. In addition to this, the AR-15 is arguably the most effective combat weapon that is (as of now) legal for civilians to own. If you prefer a more discrete option, handguns are an ideal choice. • Food – A generous supply of food is an obvious choice for a survival cache. 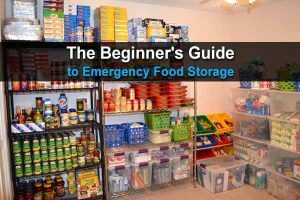 In the unfortunate event that your main food supply is stolen or inaccessible, you will want to have enough food put away in your survival cache to get by until you can secure another food source. • Water and/or a Water Filter Bottle – Even more important than food is water. If you live near a water supply such as a stream or lake, a water filter bottle is a very space-friendly solution. Otherwise, you’ll want to pack away some bottled water. • First Aid Kit – Purchase or build a first-aid kit that, at the minimum, includes bandages, a suture kit, wound-closure strips, a disinfectant, and a pain-killer. 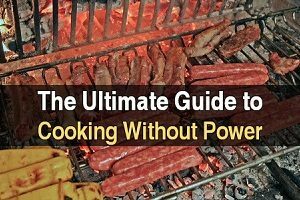 • Firestarter – The ability to start a fire may prove essential if you are required to spend the day (or multiple days) on the run away from your home. You can use any container you want, as long as it’s waterproof (nothing made of wood, which will rot) and very durable (nothing made of cheap plastic, which will crack). It needs to withstand high heat, freezing temperatures, insects, and rodents. 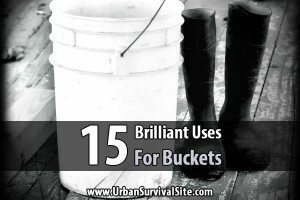 • 5 Gallon Buckets – A high-quality bucket is both waterproof and airproof and should hold up for a long time. • Ammo Cans – Yes, a metal ammo can like this one will rust, but it should still take years before it has any holes in it. • Pelican Cases – These are designed to be weatherproof and very durable, but they’re a bit pricey. • Dry Box – This is a much cheaper option, which makes me a little wary. All the reviews say it is sturdy and waterproof, but I don’t know how well it would last after being outdoor for months or years. • PVC Tube – PVC is designed to be durable and waterproof so it’s an excellent option. Just make sure you use a very good sealant. Of course, there are many other options. Whatever you decided to use, consider sealing it inside one or more contractor bags just for good measure. One advantage of doing this is you make it look like nothing more than a bag of garbage to anyone who discovers it. Add lots of crumpled up newspapers to the bag so it looks even more like garbage. Once you’ve put together a survival cache, the next step is deciding where to put it. As I already mentioned, you’ll want to find a place that is both accessible and hard for unwanted snoops to find. • Underground – Hiding your survival cache under a few feet of dirt is probably the most common means of keeping it safe. Of course, burial isn’t an option for everyone. Those who live in a city will find that most of the ground nearby is covered in concrete while the areas that aren’t (such as in a public park) aren’t a really good spot to grab a shovel and start digging. Still, if burying your survival cache is an option then it is one of the best ways to keep it hidden. 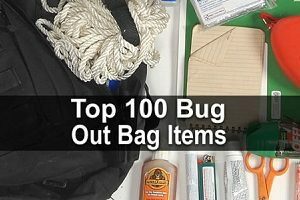 • Along Your Bug Out Route – Hiding your survival cache somewhere along your bug out route is an obvious choice since the scenario where you are most likely to need your survival cache is a bug out situation. The options you have available will depend on the route itself, but so long as you can find a functional hiding spot at some point in the route, storing away a survival cache there is a good idea. • Abandoned Buildings – For urban preppers, abandoned buildings make for a great spot to hide a survival cache. Most abandoned buildings don’t see a lot of traffic outside of a few unruly teenagers, so you don’t have to worry too much about your cache being discovered as long as you hide it well. Abandoned buildings also come with the advantage that, if there is a lot of scrap metal lying around, you won’t have to worry about someone with a metal detector being able to find your survival cache. Just make sure you keep an eye on the building. The last thing you would want is to find that the building has been leveled and replaced by a Starbucks. • Disguised in Plain Sight – Locations for hiding a survival cache don’t necessarily have to be off the beaten path so long as they are well disguised. For example, you could hide your survival cache at the bottom of a garbage can that you never empty. Another excellent option for urban preppers is to hide their survival cache in a storage unit. Since you will have keys to the lock, you won’t be reliant on anyone else to help you access it. Just make sure you grab it quickly when SHTF before thieves get around to cutting the locks off. If storage units and garbage cans aren’t ideal to you, there are still plenty of other places that you can disguise a survival cache in plain sight, and locations such as this are typically great for keeping your survival cache relatively close by. Where I live, burial is contraindicated – we have BEARS! A bear can smell “man scent” buried as deep as six feet! As far as abandoned buildings I think they would actually be safer in the rare instance that they occur in rural areas or on the rural edge of suburban areas. In cities like someone above said stay away. However, in an urban area take a family member or two with you and look for people signs first. Foot prints, recent looking trash, signs of a camp fire being built recently etc. If you only find a few knee-hi soda bottles ( brand that was popular in the 1960s and purple vines ( like red vines but grape out in the 1950s) wrappers,covered in dust it’s probably okay . I built raised beds this year in my garden due to bad arthritis and inability to bend and pull weeds, etc.. I built them 36 inches high. Halfway do an I added a shelf. The top part is for plants and the lower section, for whatever I want to use it for. I enclosed it with tin and screws. If found, they would have to have a screw driver with them. Perfect for 10 foot pvc pipe. They are of different heights for different veggies/fruits. I built 18 of these beds. Enough I think for this purpose. Now I need to get a bunch of pvc pipe…. great article. Thanks. Keep a GPS unit, a HAM rig, rechargeable batteries/solar chargers, a tablet computer, several thumb drives, led flashlights, etc. in a Faraday cage These can be made cheaply from a cardboard box and aluminum foil. 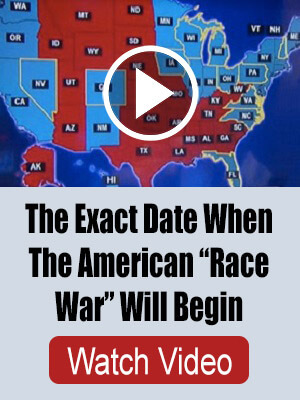 Look for instructions on Youtube (while you can). Realy great information, except for the ‘abandoned building’ section. As a former investigator in a large US city, the statement, ” Most abandoned buildings don’t see a lot of traffic outside of a few unruly teenagers”… struck me as quite odd. Firstly, on its face, how do you know that? But secondly, let me say that abandoned buildings are often used as gathering places for gangs, drug dealers/crack houses (yes those still exist), etc. My strong suggestion is to stay out for those places..stay out. Try old electrical boxes. We have several that are almost as big as a closet. They are weather resistant. Most people are afraid of electricity, so they aren’t bothered. Most smart phones have GPS, you can store the coordinates on your phone so you can easily locate your hiding place. Only problem relying on any brand of “smart” phones is in case of an EMP strike. Phones will be worthless. Go to a hardware or sporting goods store and purchase some reflective tacks. Use them to triangulate to position of your cache. Also place a rock or distinctive piece of wood over your burial site to mark it. This is easy for me because I live in a very rural area, you may need to keep an eye on things that I don’t worry about such as development, demolition, and idiots. It is very hard to find stuff buried, hidden in the woods, in an unmarked place after time goes by. I am still looking for something in the woods. It seamed like a ez spot to refind. Some distance into the woods from the corner of a stone at the base of a tree. Trees fall down, buildings get removed, houses get built, roads get built. darn. My point is don’t count on everything and have another plan. Which should be hide more stuff. Great article I got some ideas. i thing my Garden is a good place.. i have 3 tubes burried at My farm— (1) i can’t even find.any more.